Where does scent go when attraction doesn’t matter? Scent matters. 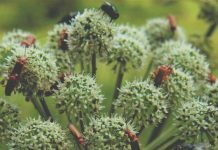 If you’re a flowering plant, scent is an important tool for attracting pollinators. 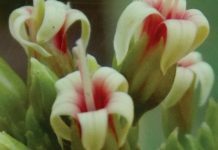 It’s no surprise that botanists see it as a vital feature when studying pollination. But what happens when pollinators don’t matter? 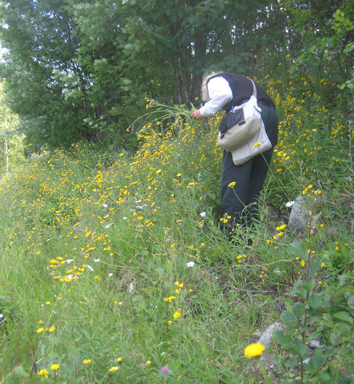 What happens to scent when a plant stops using animals for pollination and relies on the wind? It’s not something that scientists have examined much. One reason is that, for angiosperms, insects really work. They deliver the pollen to other flowers. The wind is random, so fewer plants use it when they have flowers. There’s also a problem in getting a good sample set. Plants do move from insect to wind pollination, but how do you compare one with another? Can you compare one plant with one set of problems with another plant with its own specific problems? It would be helpful if you could compare many plants in the same genus. Wang et al. have been looking at Thalictrum (Ranunculaceae). Thalictrum species have switched from insect to wind pollination many times. It means you can see what changes they share when they switch, and what they don’t. To start, they had to sort Thalictrum‘s family tree out, to see how the species were related. The authors could then reconstruct what the Thalictrum common ancestor was like. After that, they found out what made a Thalictrum scent. 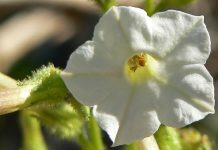 They found what volatile organic compounds (VOCs) made up each flowers unique smell. But does smell matter? The team strapped in a bumble bee into equipment to see how it reacted to the different scents. Sure enough, the flowers that still used insects got the biggest responses. But, making these perfumes is a lot of work. 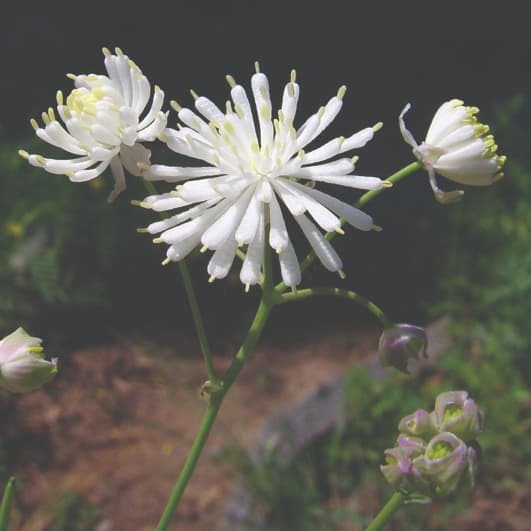 Wang and colleagues found, when Thalictrum switched to wind pollination, it lost its scent. They also found that, at least twice, Thalictrum went back to insect pollinators. 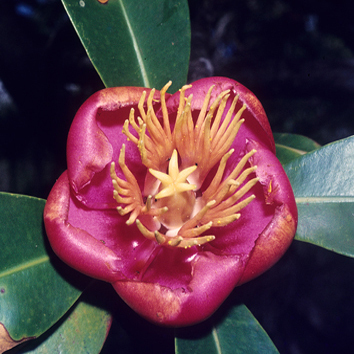 Does a supergeneralist plant locally specialize on the most effective pollinators? 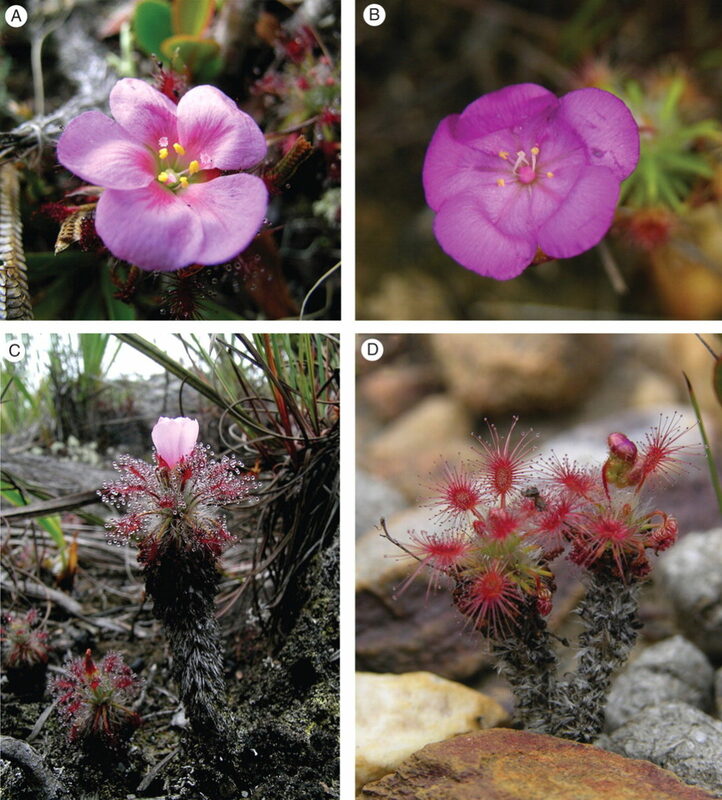 Is Drosera meristocaulis the carnivorous plant that walked?